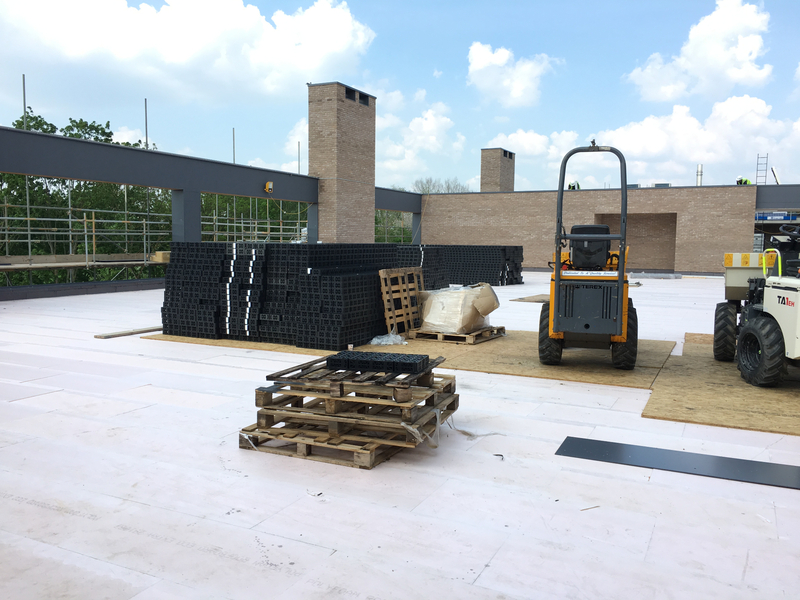 SEL were appointed to install a hard-surfaced MUGA and two terraced areas on a rooftop in Putney, circa 1500m2 in total. All materials had to go through a parapet window in one corner of the building. This meant that the areas had to be constructed in sequence so to prevent traversing through installed areas and contaminating the newly installed surfaces. . 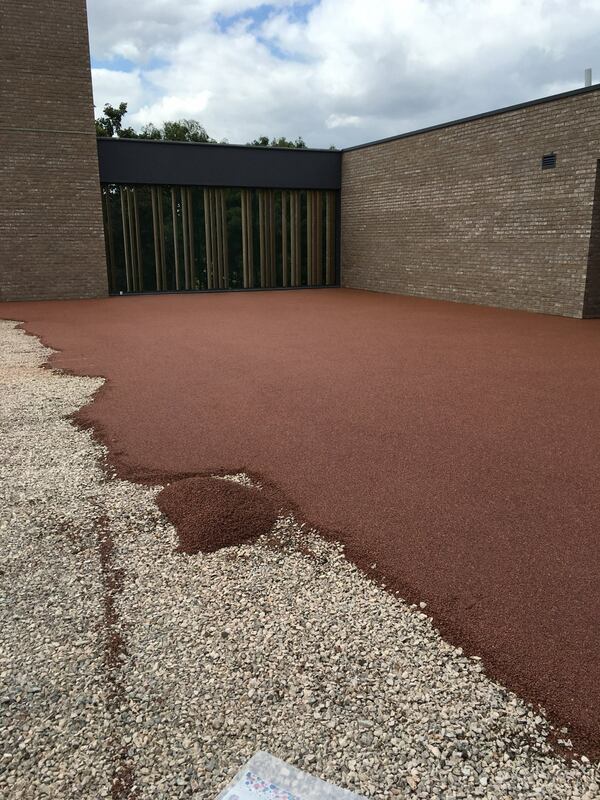 The SELSports Resin Bound Gravel system installed comprised a resin bound gravel layer on a regulating gravel layer on a SELSports 85 raft on SELSports Permatex HD300 geotextile directly on to the roof insulation. 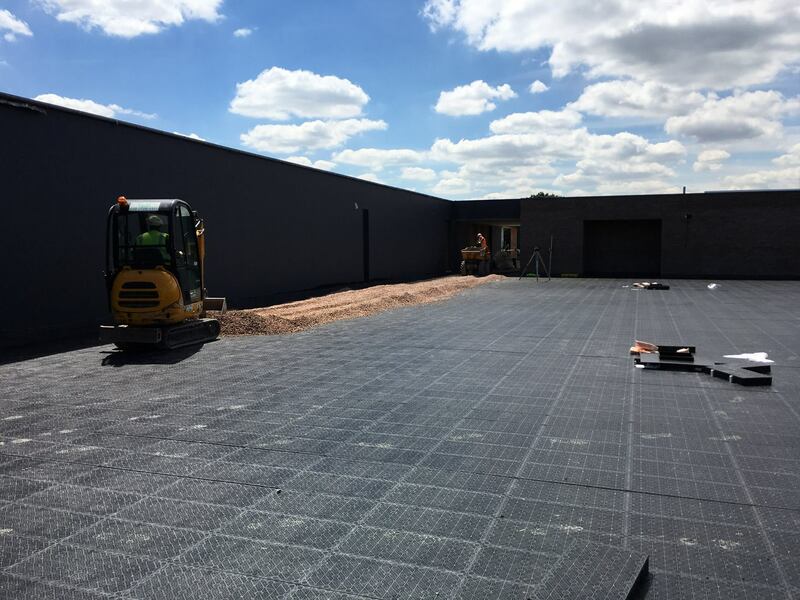 The SELSports system was selected due to the unique benefits it delivers such as, a permeable surface, faster installation period, it’s modular which simplifies the logistics for getting the system on the roof and the finished installation is lightweight offering reduced roof loadings. There is a range of ancillary components such as fencing systems, integral perimeter edging restraints, flow control rain water outlet chambers, rain water inlet chambers. On this scheme 6no. rain water access chambers with recessed lids to allow infill with RBG to match the surroundings were installed and 6no. rain water pipe inlet chambers were installed to allow rain water from the overhead canopies to disperse in to the SELSports system. 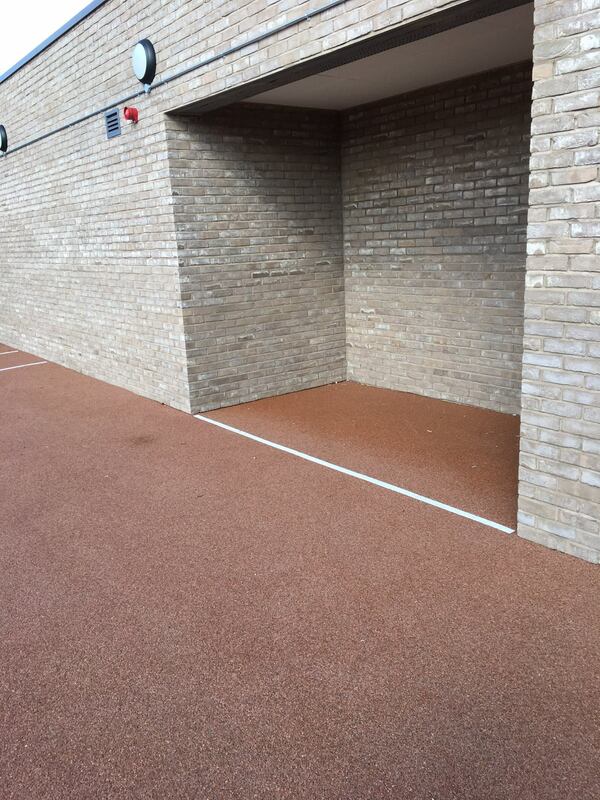 These were integrated into the SELSports solution using PVOD chambers with recessed access covers to blend in to the surrounding areas. 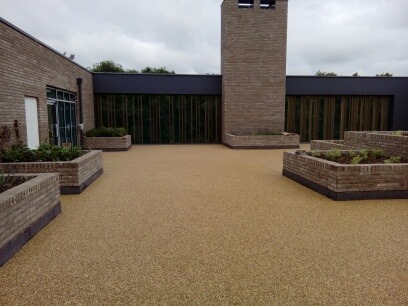 The project was delivered on time and within budget and the Main Contractor (Durkan Ltd) were impressed with the speed at which the works were completed.